India on Wednesday strongly objected to the abusive language used by Pakistan's counsel in the Kulbhushan Jadhav case at the International Court of Justice (ICJ), urging the UN court to draw a "redline" to prevent its repetition. Harish Salve, the former solicitor general of India while presenting India's case before the ICJ, drew the court's attention to the abusive language used by Pakistan through its counsel Khawar Qureshi on the second day of the hearing. "India strongly objects to abusive language of Pakistan's counsel," Salve said as the International Court of Justice began the second round of public hearing in the Kulbhushan Jadhav case. He said that the criticism of a sovereign state of the case made out of the other state must be in a language consistent with the dignity of other states, he said. "Humpty-Dumpty has no place in this court," Salve said. He said that "when you are strong on law you hammer the law, when you are strong on facts you hammer the facts and when you are strong on neither you hammer the table... Pakistan has hammered the proverbial table. India has hammered facts". On Wednesday, India had a maximum of 90 minutes to submit its final arguments in the case. Pakistan will also get 90 minutes to respond to India's arguments on Thursday. The ICJ is expected to deliver its verdict in the summer of 2019. 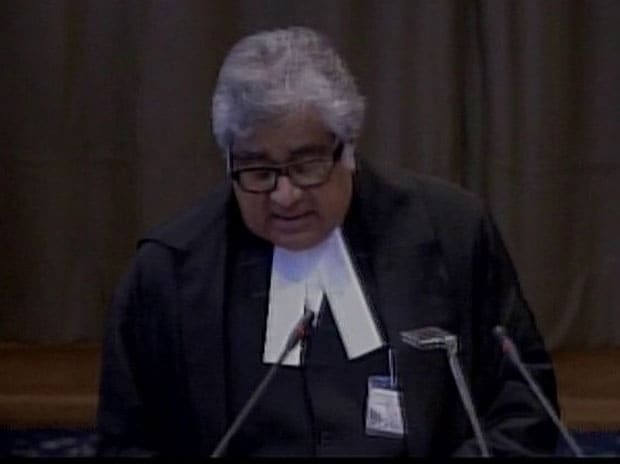 The four-day hearing in the Jadhav case opened Monday at the ICJ headquarters in The Hague amidst heightened tensions between India and Pakistan following one of the worst terror attacks in Jammu and Kashmir by Pakistan-based Jaish-e-Mohammad terror group that killed 40 CRPF soldiers.